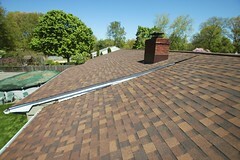 Over time, your roof will continue to wear down as it approaches the end of it’s lifespan. If this is the case for you, you may want to consider getting Middlesex County roof replacement. Having to get a new roof can be a stressful ordeal. Unfortunately, every roof will need to be replaced at some point. There are many things that may lead you to needing a new roof for your home. Here are a few of the common reasons that people need a roof replacement. It’s just getting old. On average, a well installed roof will have a lifespan of around 20-25 years. As this time frame is coming up, whether your roof looks like it needs work or not, you should consider getting it replaced. If you’re unsure whether it’s a good time or not, contact a professional and have them perform a roof inspection for you. It suffered severe damage. Luckily, we don’t generally have huge storms or earthquakes or anything like that. However, there may be an incident where a tree or a large branch falls on your roof and does some heavy damage. If this happens to you, depending on the damage it caused, a repair job just simply may not cut it. 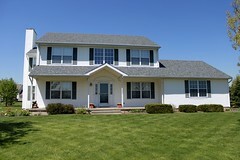 If the damage is bad enough you’ll likely need a Middlesex County roof replacement. Again, if you’re unsure, a professional will be able to come out and inspect it before doing any work and fill you in on exactly what’s going on. 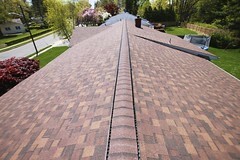 Do You Need Middlesex County Roof Replacement? 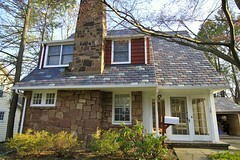 Middlesex County roof replacement is not ever a fun issue to have to deal with. Luckily, Biondo Contracting specializes in roofing work and can make this as stress-free as possible. Biondo will perform a roof inspection to help identify your needs and make sure you’re getting the appropriate work done. With over 30 years of roofing experience under their belt, they’ll get any roofing job done right. For more information or a free estimate, contact them today by calling (732)257-2926 or visit the website!